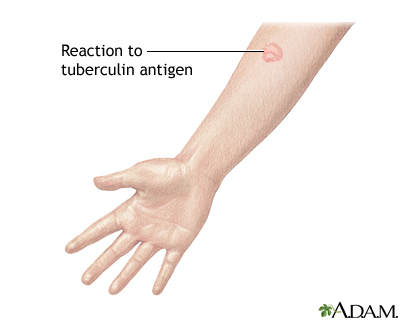 The tuberculin skin test is performed to evaluate whether a person has been exposed to tuberculosis. If there has been a prior exposure, antibodies are formed and remain in the body. During the skin test, the tuberculosis antigen is injected under the skin and if antibodies are present, the body will have an immune response. There will be an area of inflammation at the site of the injection.